The first Special Remittance Advices (“RA”) pursuant to the Department of Community Health’s CIS Claims Reprocessing were issued this week. Claims originally processed between November 1, 2010, through June 30, 2012, that billed specific CPT codes are subject to this special reprocessing based on the CMS National Correct Coding Initiative mandated by the Affordable Care Act. Early reports are that the Special RA’s detailing the voided claims have been several hundred pages long with recoupments reported from $5000 to $100,000. Some providers have indicated that DCH may be willing to enter into payment plans with providers to space-out the recoupment amount and that the Department may also allow denied claims to be re-billed with the proper CPT modifiers to allow for payment. Section 202 of DCH’s Part I: Policies and Procedures Manual requires that claims be received within six (6) months after the month in which service was rendered to be reimbursed unless certain exceptions are met. It is unclear whether DCH considers the Special Reprocessing as meeting the exception requirements. If it does not, then providers may be limited to six (6) months for re-billing claims. If you think the Department’s determination of recoupment is incorrect, you can still appeal the determination as described in Part I of this article. 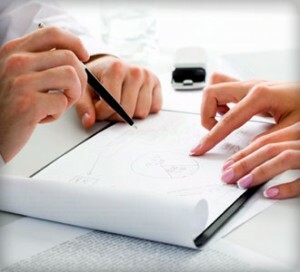 It is extremely important that you satisfy all of the appeal requirements and meet all deadlines. Failing to do so means that you waive your appeal rights and may not be able to challenge the DCH action. If you’ve received notice that your practice is subject to the reprocessing recoupment and need help or if you need to appeal DCH’s decisions, Jeyaram & Associates can help. Contact DJ Jeyaram at DJ@Jeylaw.com or 678.325.3872. Jeyaram & Associates and Parker, Hudson, Rainer & Dobbs have filed suit against the state for withholding millions of tax funds earmarked for severely disabled individuals. 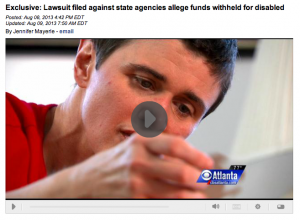 Family members representing people with severe disabilities and a group of their health care providers today filed a class action law suit against the Georgia Department of Behavioral Health and Developmental Disabilities and the Georgia Department of Community Health for withholding funds that were designated for the care of those individuals contrary to controlling law. United Cerebral Palsy of Georgia, Inc., Coastal Center for Developmental Services, Inc., Hope Haven of Northeast Georgia and Creative Community Services, Inc. as well as four families representing nearly 12,000 individuals in the State seek the return of hundreds of millions of dollars that should have been used to care for those individuals since 2008. The exact amount will be determined at trial. The families filing suit represent clients who depend on vital services from these healthcare providers every single day. These clients are some of the most vulnerable members of our communities. Their daily lives have been negatively impacted in real and tangible ways, as have those of their families and caregivers. “My daughter Tammy wants and needs activity. Sitting in front of a TV set is counterproductive for her,” says Angela Tulloh of Kennesaw. None of the families affected was notified by the state of the pending cuts and none was given any recourse. Additionally, an undetermined number of other individuals requiring new services have been turned away due to the improper budget cuts. 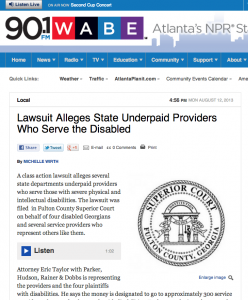 Those organizations filing suit are designated Medicaid providers. 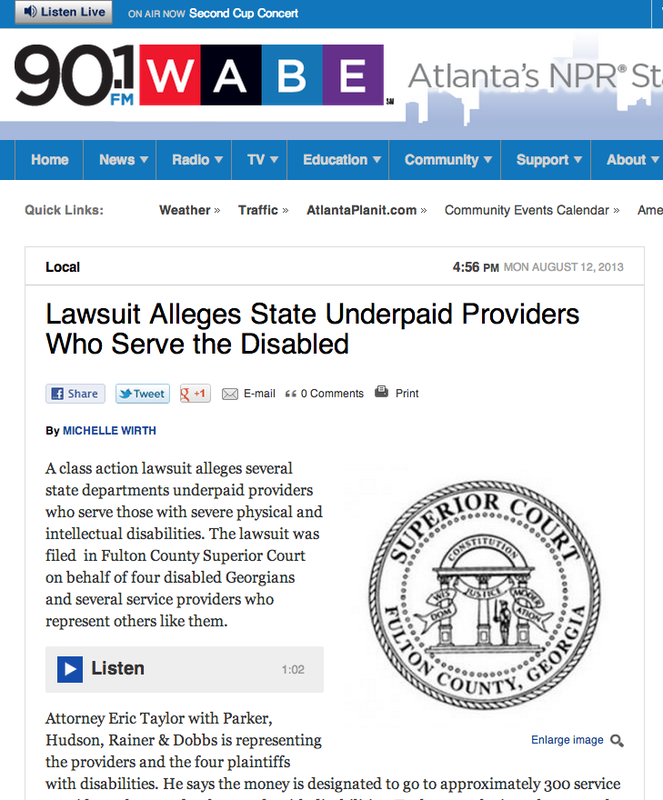 The two state agencies being sued have failed to reimburse the plaintiffs for services provided under contract to clients with profound intellectual and developmental disabilities. That has led to severe financial harm to these providers. The state has very specific rules and procedures it must follow before reducing already agreed upon payments to providers and families. None of those procedures has been followed. These cuts in Medicaid funds were not tied to the recent economic downturn; rather the funds were allocated by the state legislature and simply not paid in full to the providers and clients who depend on them. “We have gone through our financial resources to keep serving our existing clients, but we have had to turn away other people with severe developmental, medical and behavioral needs. I don’t know what happens to those people,” says Sally Buchanan, CEO of Creative Community Services of Norcross.